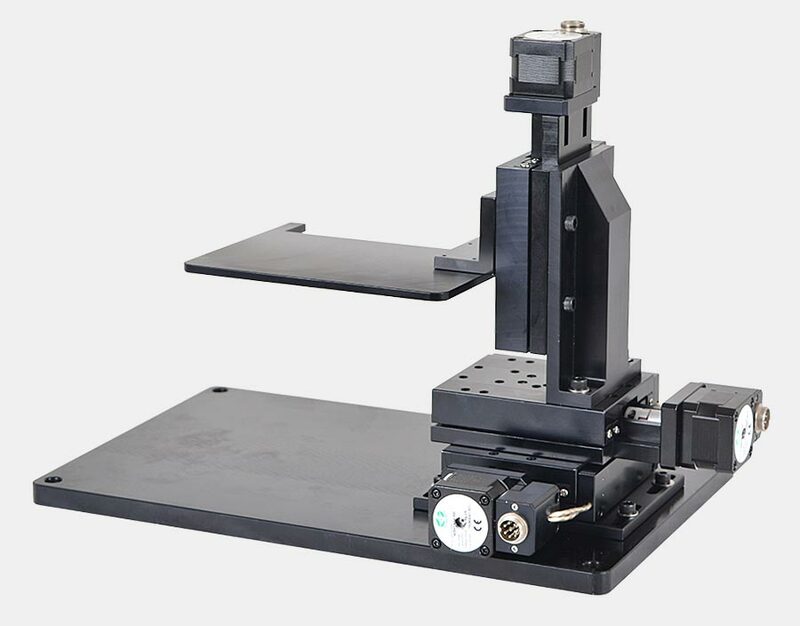 This microscope translation stage precisely move upright and inverted microscopes with 25 mm travel in X and Y direction. The translation stage accepts all types of instruments thanks to its large load carrying capacity. The microscope stage can be used with almost any Zeiss, Leica, Nikon or Olympus inverted or upright microscopes in addition to Holmarc’s. With complete hand free remote control, Holmarc’s universal motorised stage allows translation of any upright or inverted microscopes. Motorized control allows programmed movements in X and Y directions using suitable control electronics. 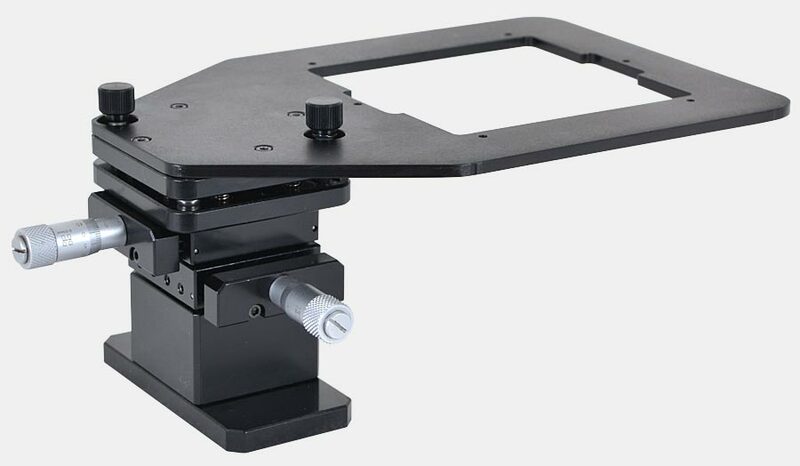 Microscope stage can be used with almost any Zeiss, Leica, Nikon or Olympus inverted or upright microscopes in addition to Holmarc’s. These stages are meant for positioning the entire microscope in an XY plane. Manual and motorized versions are available. It features an M6-tapped hole matrix. 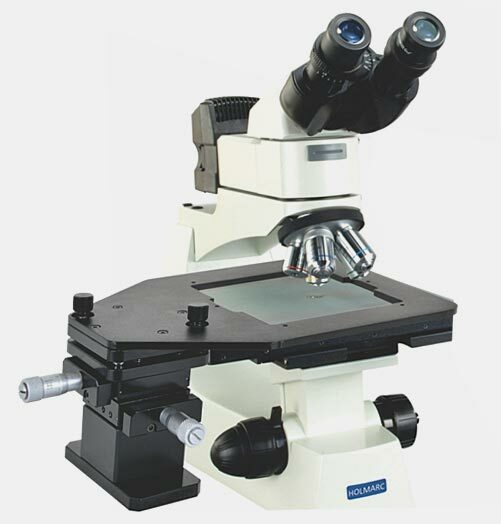 These stages are designed, specific models of microscope to make sure of the compatibility. There are micrometer and rack and pinion driven stages. Both the axes are fitted with ball bearing guides for smooth and friction free movements. There are manual as well as motorized models to fit various microscopes. 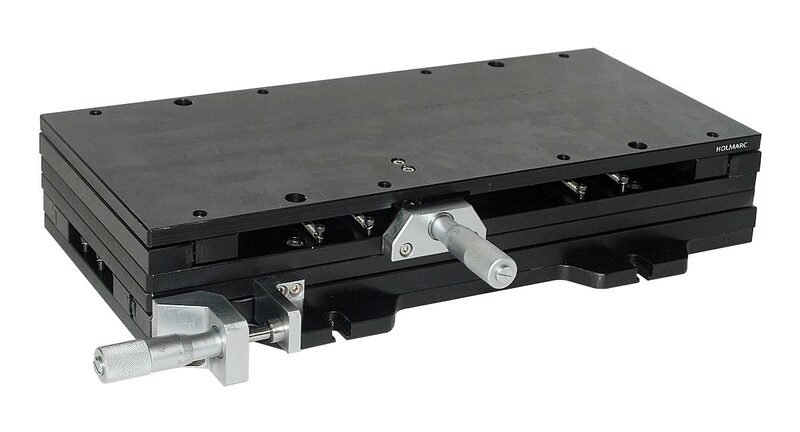 These stages are fitted with two micrometer drives for each axis, coarse and fine. Fine drive which is based on a spring loaded lever drive mechanism can achieve sub-micron resolution and sensitivity. 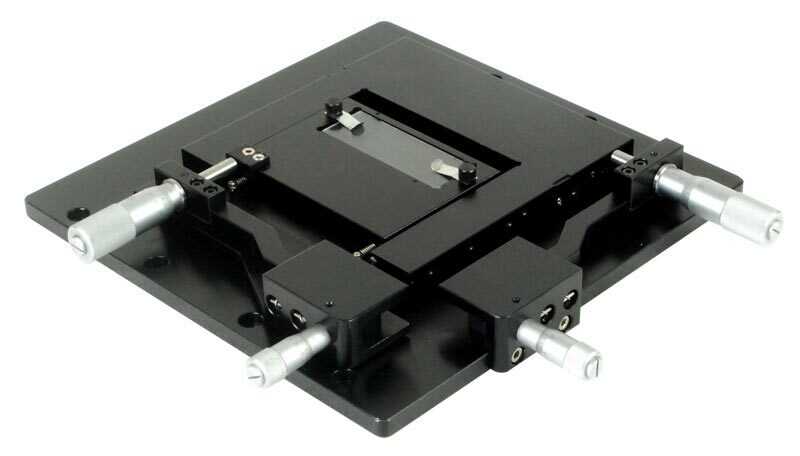 This motorized XY translation stage is an integrated motorized stage with compact structure. It’s usually used to automatically move the small object under the microscope. 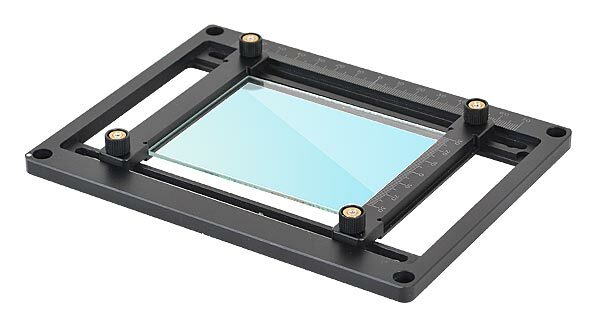 The aperture size is 50mm x 50mm, microscope slides can be mounted and clamped on it. Hand wheels are provided for manual positioning. This stage is connected with Holmarc’s motion controller interface and it can be controlled by our computer software via RS232 interface on controller. 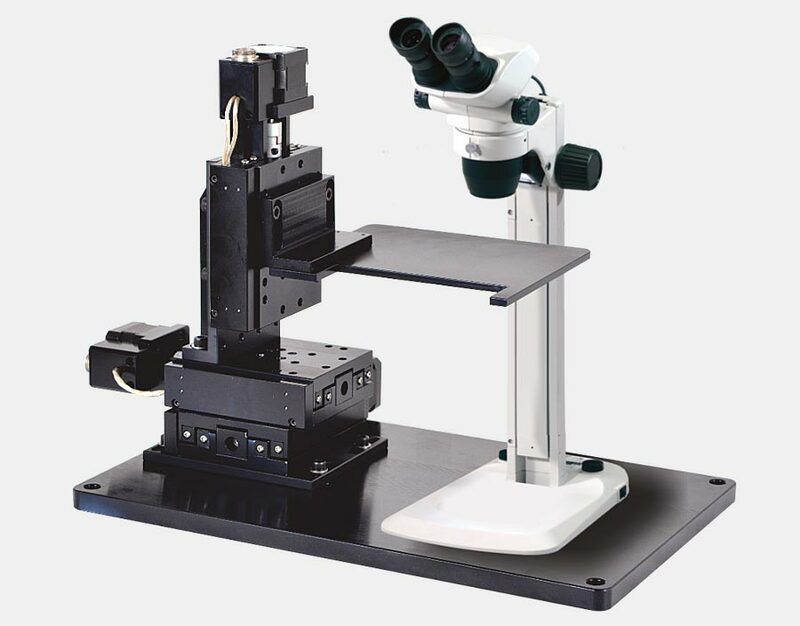 Microscopy External Positioning System (MEPS) are designed to be used with standard microscopes for custom microscopic works. It support slide holders, petri dishes, chambers and other samples. MEPS can be easily inserted in to other microscope's optical path. 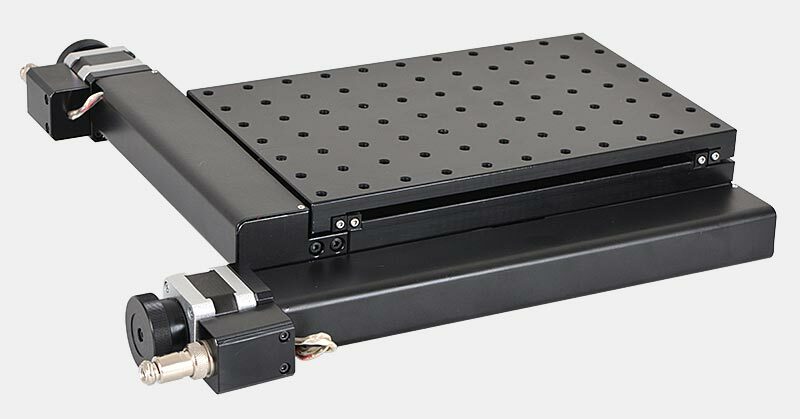 The stage mounts to the bottom of the compact rigid stand and can be mounted directly on to a optical breadboard. 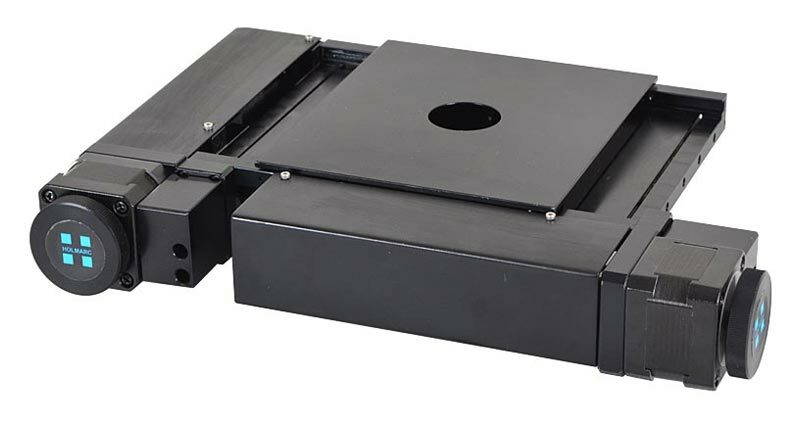 These positioner can translate a sample load up to 5kg. 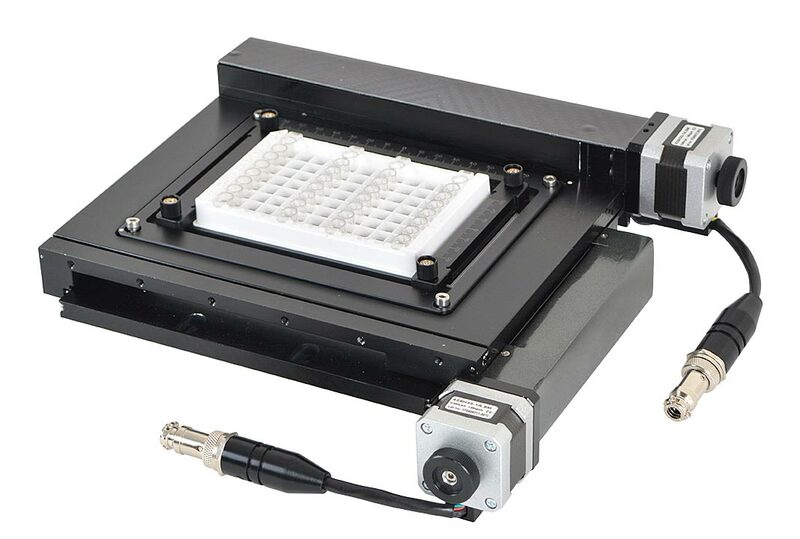 This Microscopy External Positioning System (MEPS) is based on stepper motor translation stages and are designed to be used with standard microscopes. 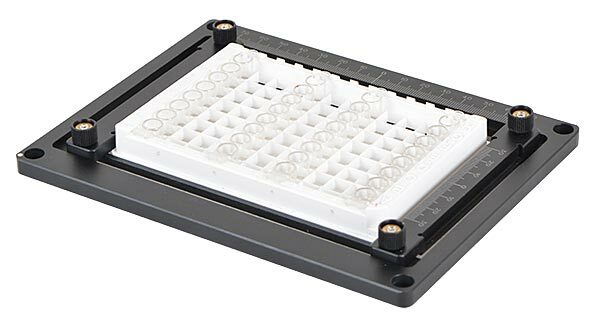 It can support slide holders, petri dishes, chambers and other samples. MEPS can be easily inserted in to other microscope's optical path for custom microscopic works. It can translate a load up to 20kg. 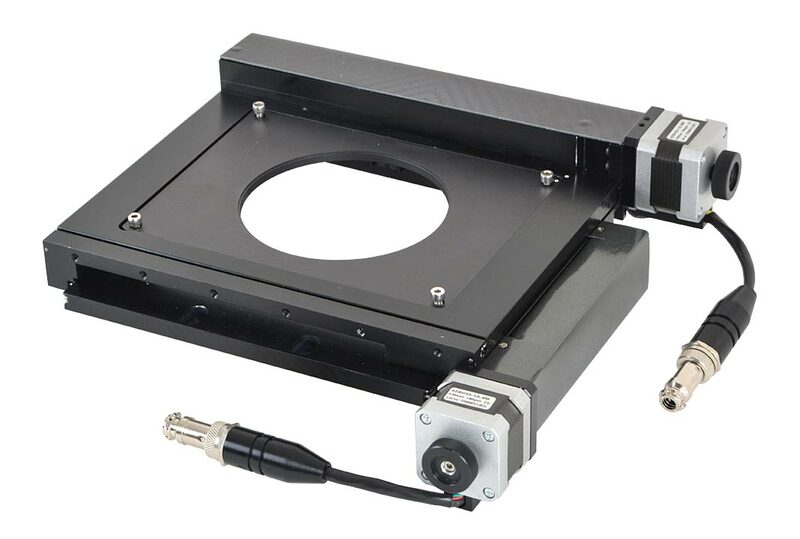 Holmarc’s motorized XY scanning stages are designed for the replacements of manual stages found on certain microscopes and provide programable XY positioning of microscopy samples. 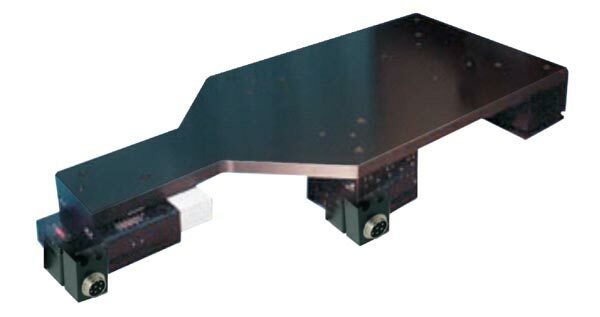 Trapezoidal lead screw and resign nuts are used for high resolution and positioning accuracy. 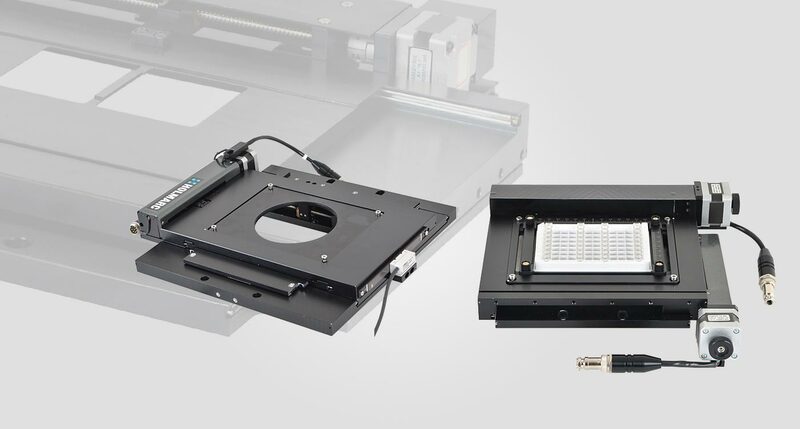 We can design XY scanning stages for inverted and upright microscopes from Nikon and Olympus. 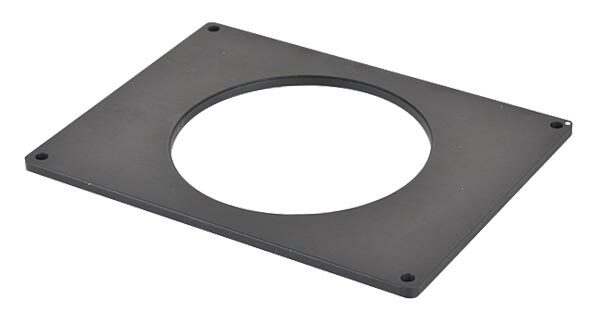 Adapter brackets will be provided for the XY stage that enable the stage to be fitted to a particular microscope. 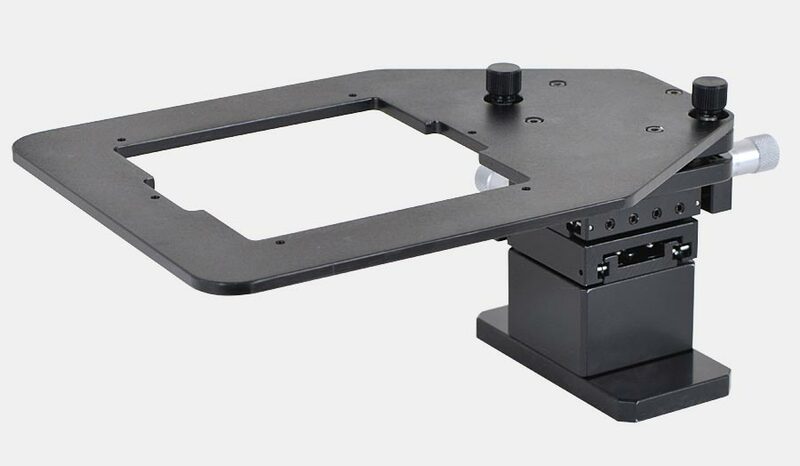 Tabletop mounting brackets are also available that enable the stage to be bolted to an optical table or breadboard as part of a custom built microscope setup or for use in typical photonics applications. 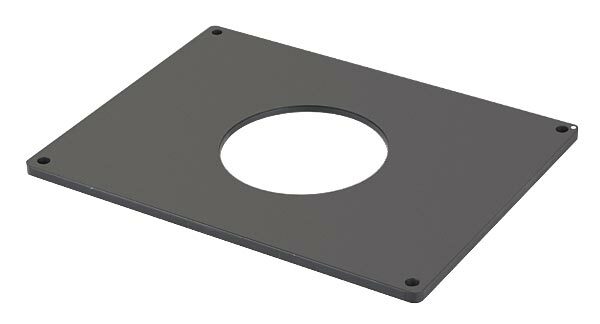 Specimen Holders and Accessories : We offer a range of adapters to allow the positioning of standard microscope slides, multiwell plates petri dishes, and mounted metallurgical specimens.